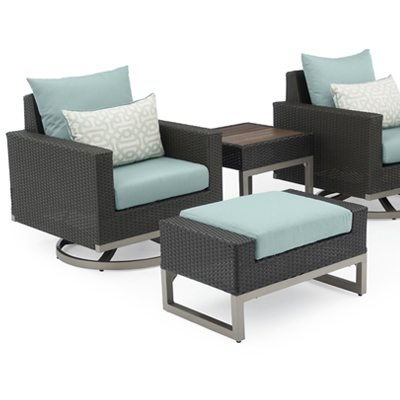 Relish your time outside with this elegant take on patio furniture, fully upholstered in stain-resistant SunbrellaÂ® fabrics. 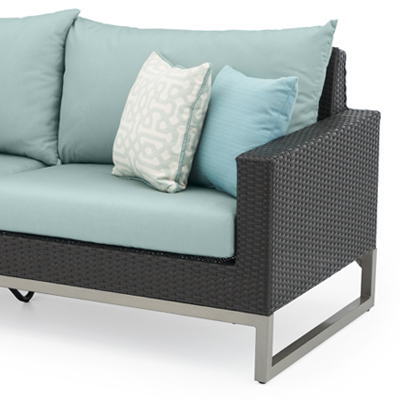 Our powder-coated aluminum frames are wrapped in a SolarFast® resin wicker for durability and a sense of style. 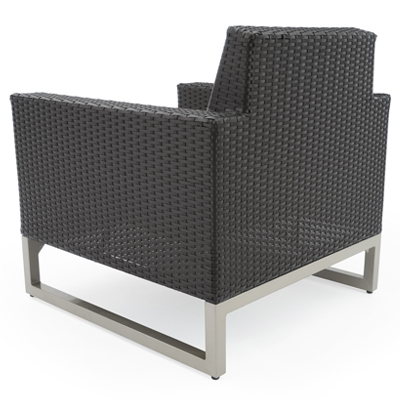 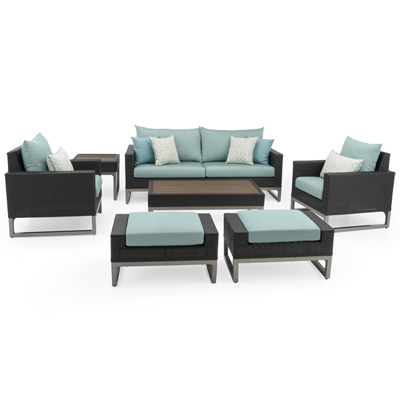 Designed to seat up to eight guests with high back dining chairs that provide ample support.